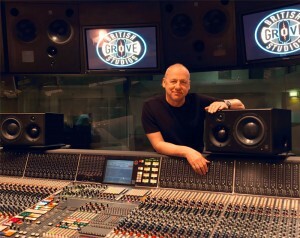 British Grove Studios, Chiswick, London have added to their already envious selection of ATC studio monitors with two pairs of ATC’s new SCM25A loudspeakers. With five of ATC largest monitors, the SCM300ASL, already installed in both control rooms 1 and 2, and a wide selection of other monitoring options, the studio was hardly short. However owner, Mark Knopfler, studio manager David Stewart and the rest of the staff all believed the ATC SCM25A to be a must have loudspeaker. This has been reinforced by many of the engineers and producers working in the studio and the monitors have quickly become a favorite on the majority of sessions. 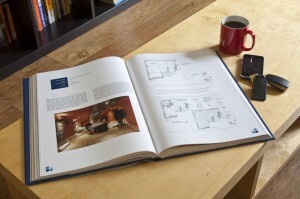 RA:The Book -The Recording Architecture Book of Studio Design. Written and compiled by RA founding directors, Roger D’Arcy and Hugh Flynn and featuring the photography of Neil Waving who has been shooting RA’s studio projects around the world since 1987. The Book includes a foreword by industry legend, Adrian Kerridge, owner of the landmark recording facilities Lansdowne and CTS which were designed around ATC monitoring systems. Architectural-acoustic details, plans and photographs of both are illustrated in RA:The Book along with several other major studios featuring ATC speakers – including Alberts, Babajim (see image), Cream, Robert Miles, Rainmaker and Songphonic. The book provides an in-depth guide to RA’s design techniques over a 24 year period making it a “must have” item for anyone interested in the world of recording studios.